Morphology- All will look similar in veg and most will be similar in flower and only vary in floral structure slightly and smell. The less common pheno will not stretch as much, however this less common pheno makes nice super frosty golf ball buds all over. 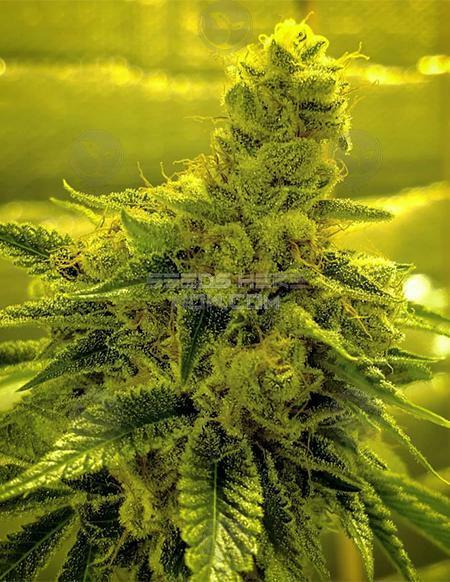 The common phenos resemble Chemdog with extra layers of resin and also heavier yield. The realm of funk revolves around oil rags, chem, sour kush with pink starburst. How Does It Smoke- Sweet and sour chem with a hint of citrus flavor. The effect is a bit of a speedball, awake and perked up in the head but very stoned and relaxed in the body. Very much a sociable happy type stone. Long lasting stone that is well balanced. Growing Notes- Shape large bushes and defoliate inward facing fan leaves prior to bloom along with the lower third. Feed a median feed throughout with a good PK boost in week 3/4/5. Supplement calcium weeks 1-4 and magnesium and sulfur weeks 5/6/7. This will get you the stankest of stank and buds will fill in nice and proper.